A lawyer has different angles and perspective of operation. A lawyer is sometime viewed to operate as an advocate where in another respect they also operate as solicitors as well as advisors. They have clients with different problems. 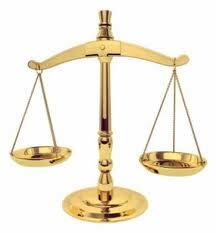 They also fight in court on behalf of their clients act as solicitors in many situations. Law courses in India are structured in such a way that an individual can easily choose his field of career after he passes out. Under the head "Law courses in India", there are many subjects as well as specialization. For example if an individual wish to pursue B.A LLB, he needs to go for a 5 years degree course after passing class 12. You can also go ahead for a simple LLB after completing graduation from any reputed organization. LLM is a post graduation course in Law that can be pursued after completing 2 year of BA in LLB.